What is Trailer Sway and How Do You Control It? Now that we’ve established what safer towing is and discussed how to properly load your trailer, some important towing terms, and some best practices for safely hauling your trailer on the road, it’s time to talk about some events that could occur on while towing and how to safely handle them. Let’s get started with trailer sway. Trailer sway is important to know about, as it can quickly lead to whipping and create a dangerous situation for you and others on the road. It’s a side to side motion that begins when you reach a certain speed while towing a trailer. A persistent side to side swaying motion is not normal and could likely lead to whipping if speed increases. Whipping is a more violent and uncontrollable sway that is usually caused by loading your trailer heavier in the rear. To prevent trailer sway or whipping, make sure your trailer is properly loaded with 60% of the cargo weight in the front half of the trailer box. Also, don’t exceed your trailer’s maximum gross weight and never overload your tow vehicle. You should never load cargo on the outside of the trailer and never allow cargo to extend out the rear of your trailer. Make sure cargo is secured before you begin your trip. Once you’re on the road, maintain a speed of 55 miles per hour or less, as sway or whipping is more likely to occur at higher speeds. If you notice sway beginning, immediately let off the gas pedal to reduce your speed. You should slow down to and maintain a speed at least 10 miles per hour below the speed at which sway or whipping was first noticed. Do not apply your brakes or speed up. Hold your steering wheel in a straight ahead position and as soon as possible, stop and reload your trailer with the heavier portion of your cargo in the front. 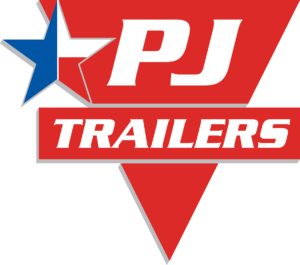 Remember that trailer sway and whipping are considered combination disturbances, which also include improper handling of the trailer and tow vehicle, over-steering, and other deviations of the trailer or tow vehicle from their intended path due to causes such as improper loading, excessive speeds, cross winds, passing vehicles, rough roads, steering inputs, and more. Always be alert while towing your trailer and remain aware of the conditions in which you are driving, as they can be a contributing factor for causing sway or whipping. Be sure to have our Pre-Departure Checklist and Guide to Towing on hand to ensure you are towing safely from the start and that you can recognize the signs of sway quickly. If you have further questions, don’t hesitate to contact us. Load your trailer with 60% of the cargo weight in the front half of the trailer box. Don’t overload your tow vehicle. Don’t exceed your trailer’s maximum gross weight. Only load cargo on the inside of the trailer. Don’t load outside and don’t allow cargo to extend out the rear of the trailer. Maintain a speed of 55 miles per hour or less.